Michigan health officials are dealing with a second case of measles. The unidentified adult appears to have contracted the serious viral infection from the first patient. The first patient is a child who lives in southeast Michigan. Both are recovering. The two are not related. Researchers say the two were passengers on the same international flight last month. Dr. Eden Wells is with the Michigan Department of Health and Human Services. She says measles has an incubation period of about two weeks and is highly contagious. However, given that no other passengers on the flight have apparently contracted measles, Wells believes it is unlikely any other passengers on that flight will come down with it. Nevertheless, Wells says medical investigators are working to piece together the lives of the two patients. She admits the fact the second patient is an adult complicates efforts to tracking possible exposure to others. Despite the fact health officials have now identified two measles cases in different parts of Michigan, Wells is optimistic the measles cases can be contained. “As long as everything goes in the usual public health prevention and investigation control measures, then I would not anticipate an outbreak, but we do depend on people keeping their immunizations up to date,” says Wells. 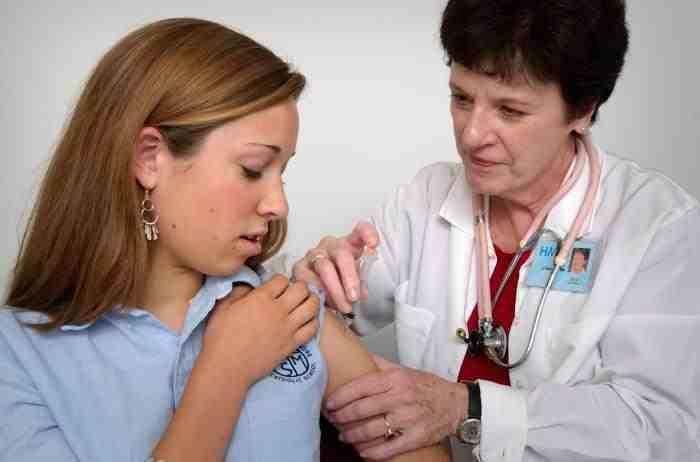 Recent changes in state rules have led to higher vaccination rates among Michigan schoolchildren. There is still the potential individuals unable to be vaccinated or whose vaccinations may be out of date may be exposed. Measles is a viral infection. The illness starts with a high fever and cough. A red, raised body rash appears on the head and face, eventually progressing to the rest of the body. Patients may develop pneumonia and brain inflammation. Measles can be fatal. Before a measles vaccination became available in the 1960's, measles was a serious public health threat, with millions of cases and hundreds of deaths annually. From 2001 to 2012, the average number of measles cases in the Unites States per year was about 60. However, measles cases have been rising as childhood vaccination rates have dipped. In 2014, there were 667 cases in the U.S. including five cases in Michigan. Back-to-school events are taking place around Michigan this week. Thousands turned out at an event in Lansing today. Along with school supplies and back packs, students could also get their required immunizations. “Many of them are ones without a primary care doctor … to make sure the families are following up on that,” says Joan Jackson Johnson, Human Relations director for the city of Lansing. A cluster of three chicken pox cases in Birmingham, Michigan, prompted the school district to exclude unvaccinated children until April 14 to prevent the virus from spreading. The directive, issued by the Oakland County Health Division, affects about a dozen families, according to Birmingham schools superintendent Daniel Nerad. Could Michigan learn something from the U.K.'s history with measles? Listen to our conversation with BBC News Health Editor James Gallagher on Stateside. There are now 121 cases of measles in the U.S., with one confirmed case in Michigan. That’s according to the latest figures from the Centers for Disease Control. Of those cases, 85% are linked to an outbreak at Disneyland. 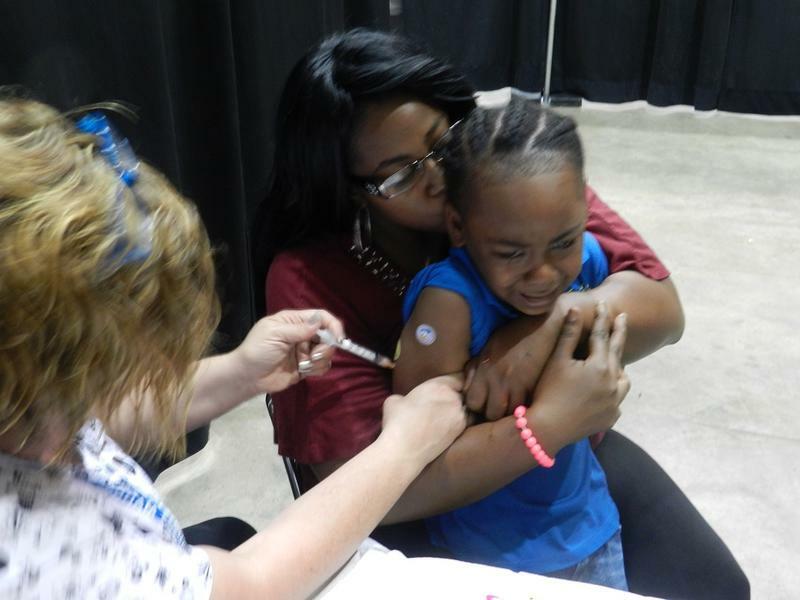 LANSING, Mich. (AP) - Health experts hope a change in Michigan's vaccination waiver policy ensures more kids are immunized in a state with the country's fourth-highest percentage of kindergartners exempted from at least one vaccine. The new rule was sought by Gov. Rick Snyder's administration and approved by lawmakers. 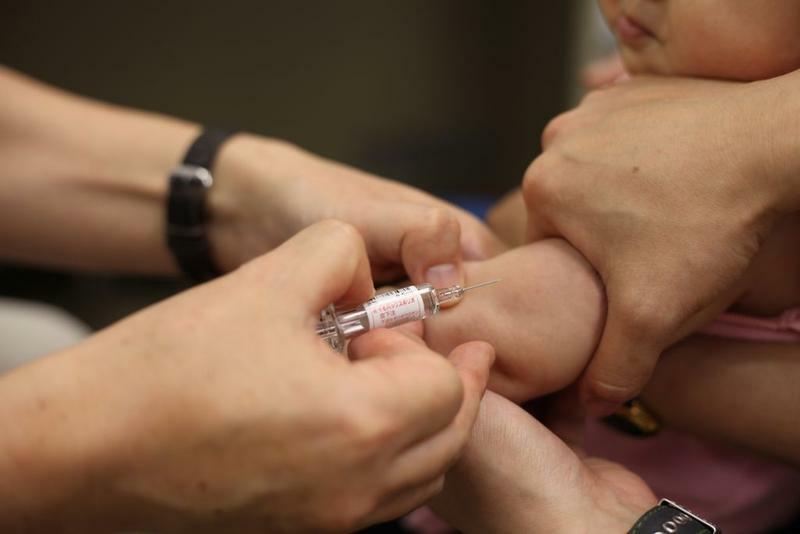 It took effect Jan. 1 and comes amid a rise in whooping cough and measles cases.